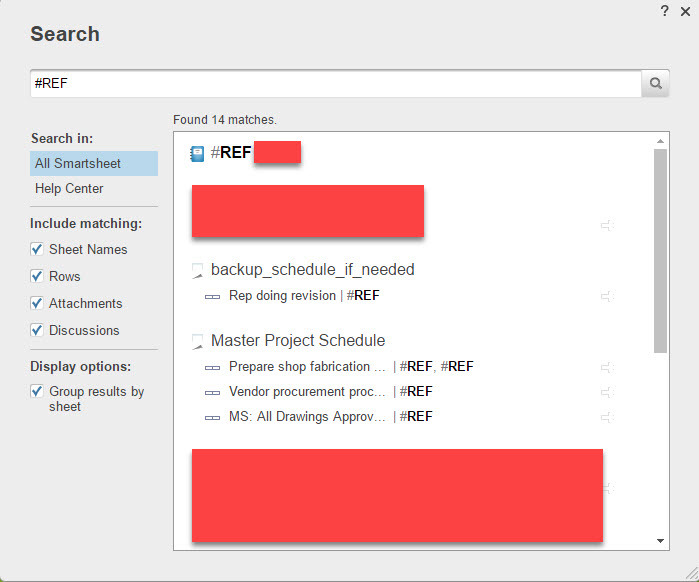 The #REF error appears when Smartsheet gets confused. This shows up in the Predecessor column. The most likely cause is a row deletion. When this happens, the dependencies in the project sheet may no longer be accurate. I sometimes forget to check – or the #REF shows up because someone else did something. For the Report, I set up a recurring email (monthly) to remind me to check that things are OK. If I am actively running projects, the email frequency is easily increased.